The average service life of quality wooden windows varies within fifty years. After that, they lose their original appearance and the necessary properties, and therefore must be replaced. It is not necessary to wait until the windows reach an emergency state, as in this case they will definitely have to be changed. If timely resort to maintenance, the service life will increase significantly. There are a huge number of companies specializing in the replacement of windows, as well as their repair. The main essence of their activity is to prevent failure of the structure and extend its operational life. It happens that the windows are simply impractical to repair, so they must be replaced. Modern manufacturers give a guarantee of up to twenty years for their goods, and in most cases this figure is really real. Practice shows that the restoration and repair of windows made of natural wood is an easy task for experienced professionals. Through a special tool, windows can be completely disassembled, treated with impregnations. Also, there are no problems with the replacement of double-glazed windows with modern analogues. If any part of the structure has been damaged, then you can replace it quickly enough. If in a timely manner to maintain the structure and not allow it to become unusable, it will serve for a dozen years. Even with the loss of the original look of the old windows of wood, they can be restored and give them a presentable look. For this purpose, it is customary to use epoxy mixtures, focused on the restoration of wood structures. Practice shows that well-prepared windows of this type can last for more than a hundred years, and the most common cause of failure is late service and repair. If timely provide care for the windows, and then in the end their lifespan can be significantly extended. There are cases when wooden windows have served for more than two hundred years. If you are the owner of the property with such windows, then you should not neglect the care of them, because otherwise you will have to face their subsequent replacement. 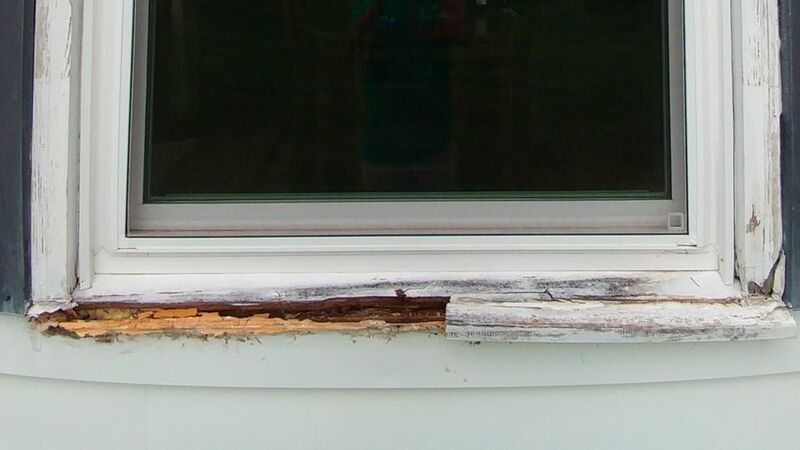 How to repair wooden windows? Initially, wizards assess the state of the window unit, check it for integrity. If the wood is damaged, it is replaced with a new one. To update window openings, modern impregnations are also used, extending the service life of windows several times. Modern technologies make it possible to provide high-quality repair of windows made of natural wood. Use mixtures that can significantly increase the strength of windows. Even if they are made from inexpensive raw materials, you can achieve a good duration of the operational period. Replacing wooden windows with modern counterparts is quite a costly job, but it does not always make sense to do just that. Many timber windows can be repaired and repaired with minimal time and money. If you contact a reliable company specializing in such services, you will be able to restore your wood windows as quickly as possible. Do not miss the opportunity to keep the windows in their original form for decades to come, and experienced specialists of specialized companies will provide comprehensive support!